Michael Derrick received a B.A. in Philosophy from the University of North Texas, where he graduated with honors and as a member of the Philosophy Honors Society. 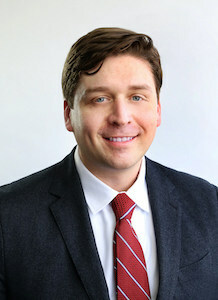 He earned his law school degree from Washington University School of Law in St. Louis and then returned home to Texas to begin his career as an attorney. Michael became very passionate about criminal defense and the criminal justice system during his time in St. Louis, throughout which he worked for multiple public defender offices, including St. Louis and Dallas counties, as well as the Public Defender Service for Washington D.C. He has received personal mentorship from several leading experts in the nation on criminal defense in America, as well as international criminal law. When not at work, Michael enjoys playing drums with his band at open mic events, reading as much as he can on modern and ancient philosophy, playing basketball, and jogging.